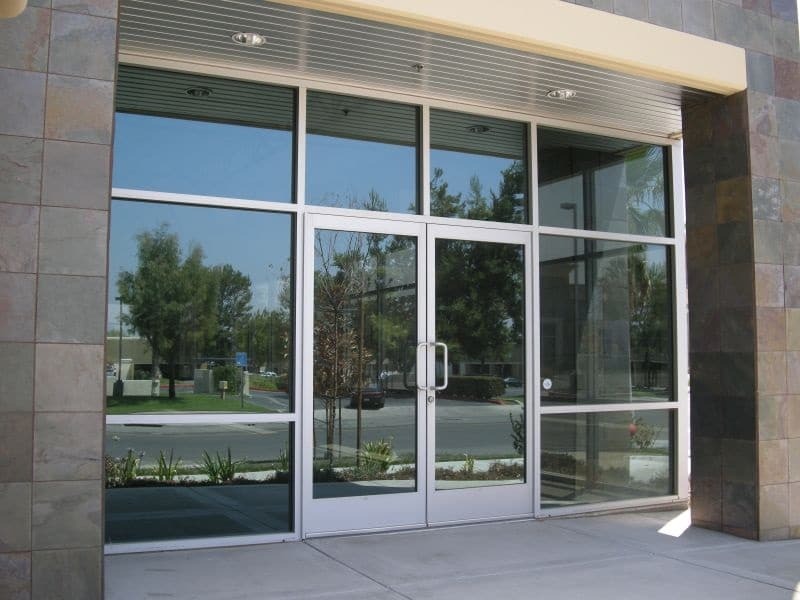 Aluminum Glass Doors, Many customers opt for aluminum storefront. This is because aluminum is strong, which means it makes the storefront durable. Moreover, aluminum storefronts are the best way to protect the items in your commercial place. They are highly dependable since they also look great and classy. Furthermore, you can have the aluminum storefront customized to the design that best reflects your business style. The storefront could feature a unique finish that includes the colors that define your business. If you would like to replace your storefront partially or completely, then you have a variety of choices to make. Sometimes, you may want to change the type of glass used on your storefront or the style. The storefront can be designed to not only accommodate your needs but also the style of the business. You will also want a bulletproof or a fire resistant glass installed in your storefront to boost the security of your commercial space. The storefront can further undergo customization as per the details of your business. This way, your customers will know when you are open, closed, your contact info etc. Storefront repair varies depending on what modifications are needed. If you feel that the glass storefront does not provide enough privacy or security to your business, then you could have a security film applied on top of the glass that is already in place. However, if you have an aluminum storefront, a complete repair of the same would be needed for durability and safety purposes. If the glass used to make the storefront is broken, Toronto Glass Works will remove the damaged part and make repairs wherever is necessary. New glass is installed if the already installed storefront is beyond repair. This will help enhance the aesthetics of your business as well as its security.